NEW TOOLS and GUEST MASTERCLASS! The Fundraising has Paid Off and the Studio was Feeling Spendy! 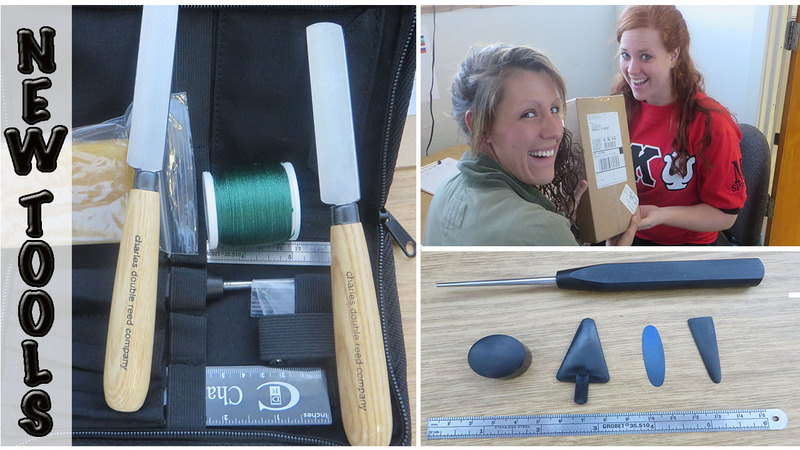 Lydia and Mackenzie model the arrival of the box of tools! We Bought New Supplies- Knives, Mandrels, Plaques, Rulers, Thread and Wax to prepare for our Guest Masterclass with Oboist/English Horn Performer Diana Dunn of the Atlanta Opera and Atlanta Ballet. Diana (pictured far left) teaches while Lydia and Mackenzie tie on a blank. Lana and Sam (upper left) take note- they’re next in line to tie on. Diana joined the JSU Oboists for an afternoon of tips on shaping and tying on oboe blanks. The rainbow thread that Diana brought was the MOST Desired Thread. 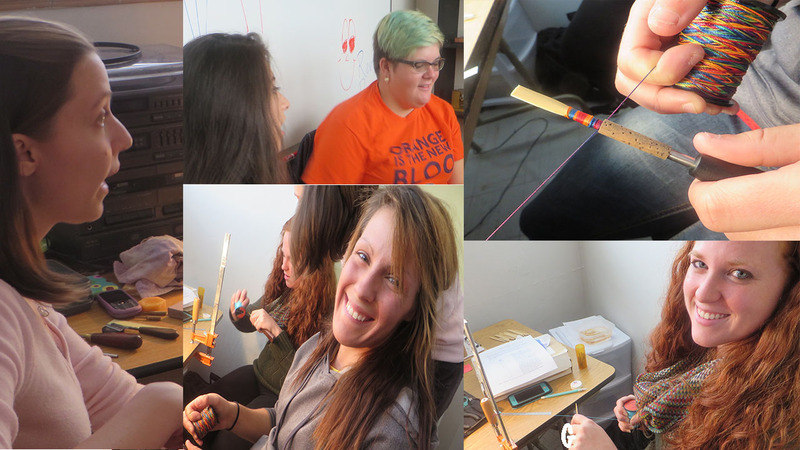 Everyone agreed- We will be fundraising for our own multicolored thread! AND more masterclasses! Diana’s warm “Earth Mother Vibe” was a hit with ALL! 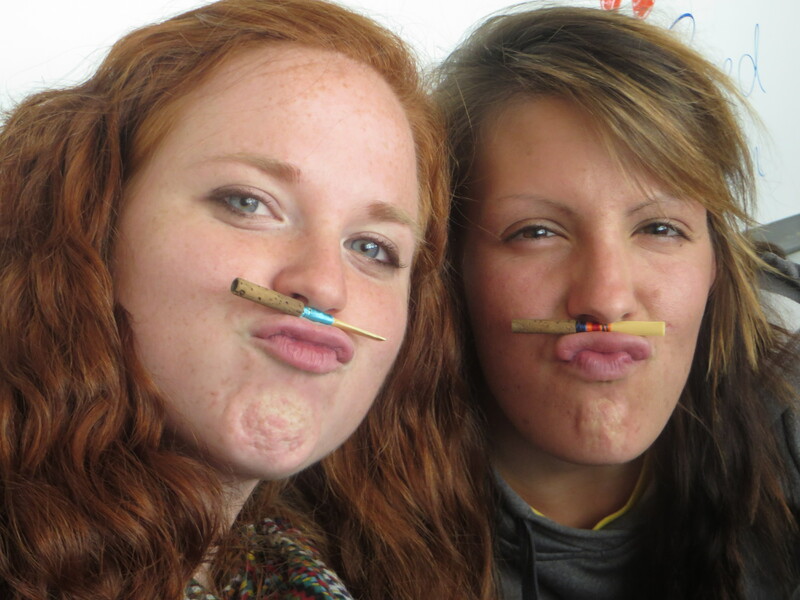 Mackenzie and Lydia model their reeds! And it wouldn’t be Movember (Mustache November) or a Double Reed Studio without these Shenanigans! For more on our Innovative Fundraising Adventures that Allowed Us to Buy Our New Goodies and Pay for Our Guest Masterclasses– click the video below!